Razor is a car racing game for UMTS/GPRS capable (Java) J2ME MIDP2.0 mobile phones using the Ex Machina Deus+ platform. 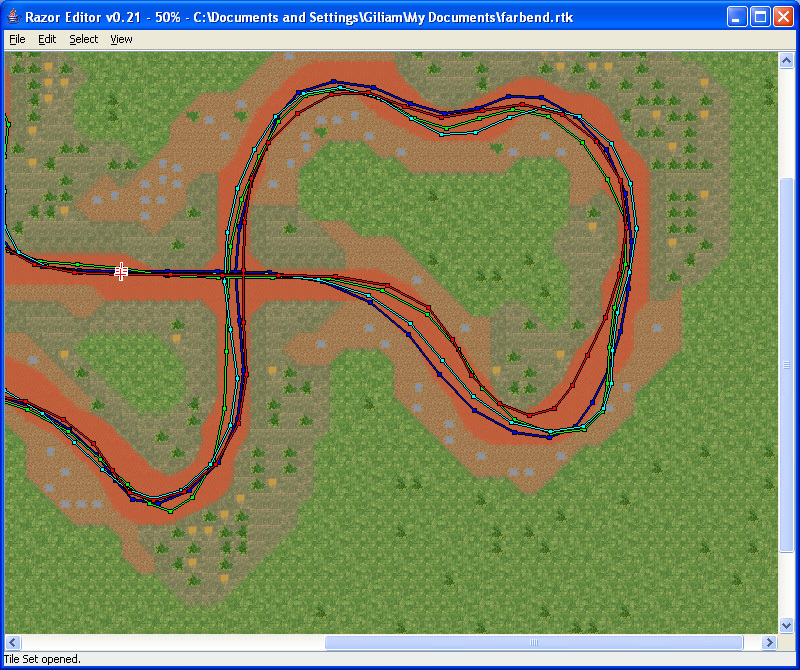 During my internship at Ex Machina in 2005, I implemented its tiled graphics engine, car physics, network player prediction, opponent AI, a fixed point math library and the track editor. As latencies of a few seconds are not uncommon for these mobile networks, the prediction of the car positions of other players is a non-trivial aspect of the online experience. To this end, I developed the position prediction algorithm described in the article 'Hiding latency: Predicting positions in a mobile race game'.